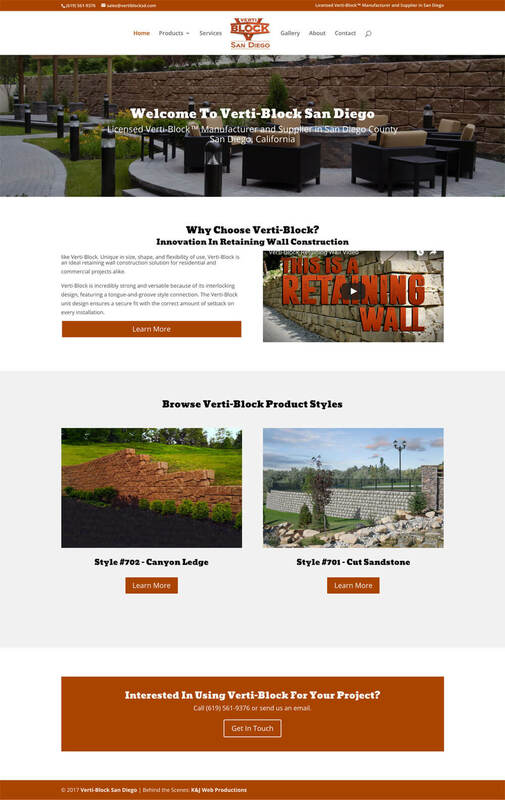 Verti-Block San Diego specializes in producing precast retaining wall blocks and precast concrete walls for commercial and residential landscaping projects. 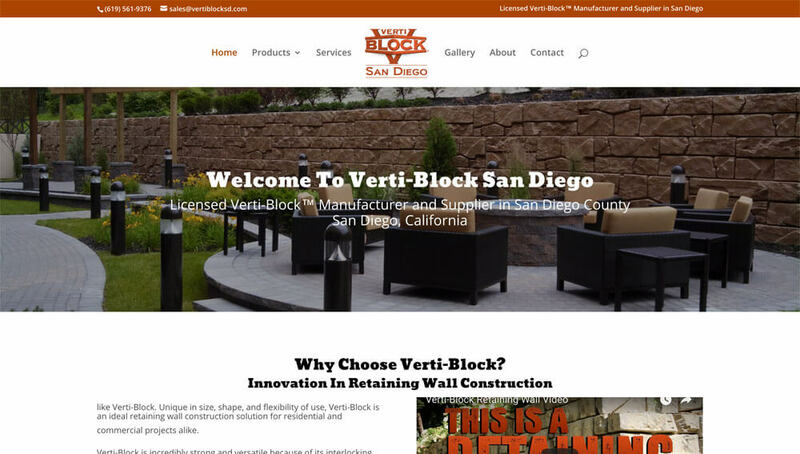 The only licensed Verti-Block manufacturer in San Diego county, they need a website to promote their specialized products. The goal for VertiBlockSD.com was to deliver a clean, on-brand platform to show off the company’s products and completed projects. Through the use of a pared down design and to-the-point content organization we were able to deliver just what was needed for their online presence.